I daresay that finding Ravelry was one of the coolest things about learning to knit. Ravelry is a site that has a gorgeous information architecture, allowing you to link projects to patterns and to the yarn you used – you can then see what other people did with the same pattern, what the most popular type of yarn was, etc. You can even find out what other people did with the same yarn. The pattern search function is powerful and allows for very specific searches through powerful categorization and tagging. So what does this have to do with sewing? The problem is that the sewing world (and really, every world that isn’t related to yarn) doesn’t have a Ravelry equivalent. 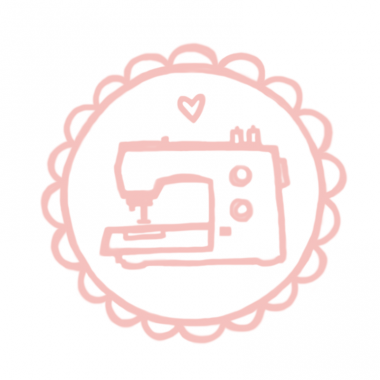 Personally, I focus on garment sewing, but there’s also everything from quilting to macramé. Patterns are spread across the Big 4 and the hundreds of indie pattern designers – last week, I was trying to find a specific pants pattern I’d seen a while back and finally gave up. I started by asking in the Curvy Collective Facebook group, then I explored the options. I found Patternreview‘s interface very clunky and difficult to navigate. I’ve used it in the past for some pattern reviews, as it seems to be the place to go, but I’ve always been frustrated with the experience. Kollabora looked promising: the interface is clean and I even found some familiar faces! I wasn’t able to test it any further as I haven’t been able to create an account over the past few days – the site kept giving an error. The feedback in the Curvy Collective was also that it seems to be trending more towards knitting. I took a look at IndieSew, which also made a good first impression due to its clean interface. However, the focus on shopping was frustrating and the search options weren’t at all detailed. I moved on. Textillia was another recommendation from the Facebook group and I was initially unsure: it seemed a bit barebones and didn’t have a vibrant feel. However, after some more digging, I’m pretty impressed with it. The site is still in public beta and it can definitely use some more polish. The bones are good – for example, while the pattern search isn’t quite Ravely-level yet, it has a good foundation. There are already lots of patterns in the database, and creating projects from patterns is easy – I’ve already set up my profle and added the projects for the items I plan to make tomorrow! I’m hoping Textillia will continue to grow and that I’ve finally found a good home for sewing. Oh, and that pattern that I was looking for? It turned out to be 5 Out of 4’s Zen Pants. I found it via Textillia’s search. Hi Hannah, found you from the Sewcialists’ post. Have you heard of thefoldline.com ? It’s basically Ravelry for sewists. I’m not active there (yet), but it’s definitely got potential I think. Hi! I haven’t heard of thefoldline.com before – thanks for sharing! Textillia is improving every day. The pattern database and attribute tags are looking great, and the search and browse functions are better for it. Come on over and enter your stash and projects!